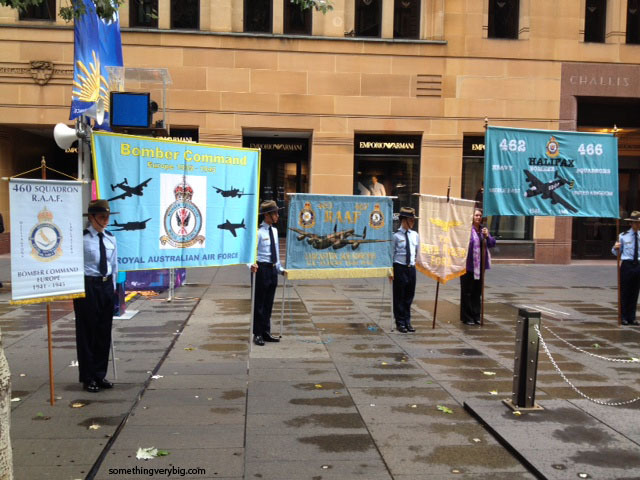 While many of the Bomber Command veterans who still live in Sydney travelled down to Canberra for the commemorations held there in early June, a small number attended a ceremony held at the Cenotaph in Martin Place in the middle of the city. 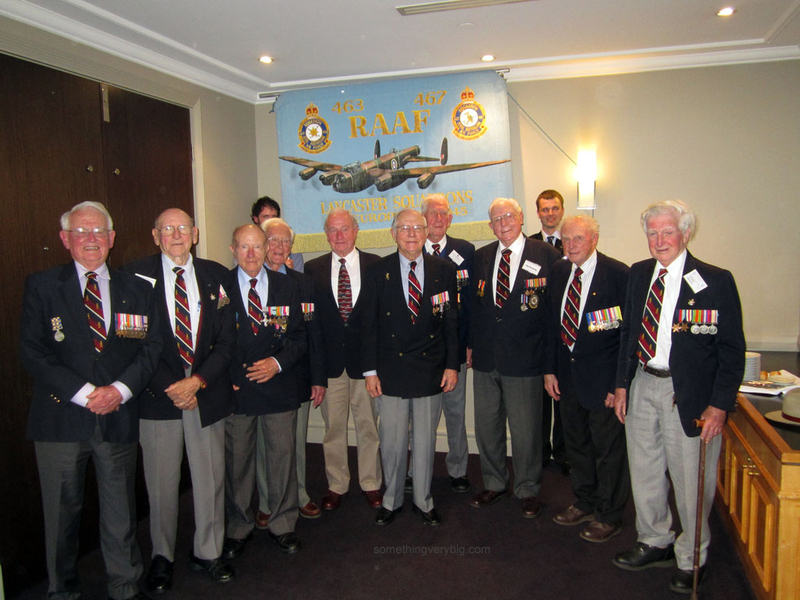 I’m still waiting for ‘official’ photos from one of the organisers but, in the meantime, here are three photos from the 460 Squadron Veterans and Friends Group, courtesy of committee member Ray Berghouse. 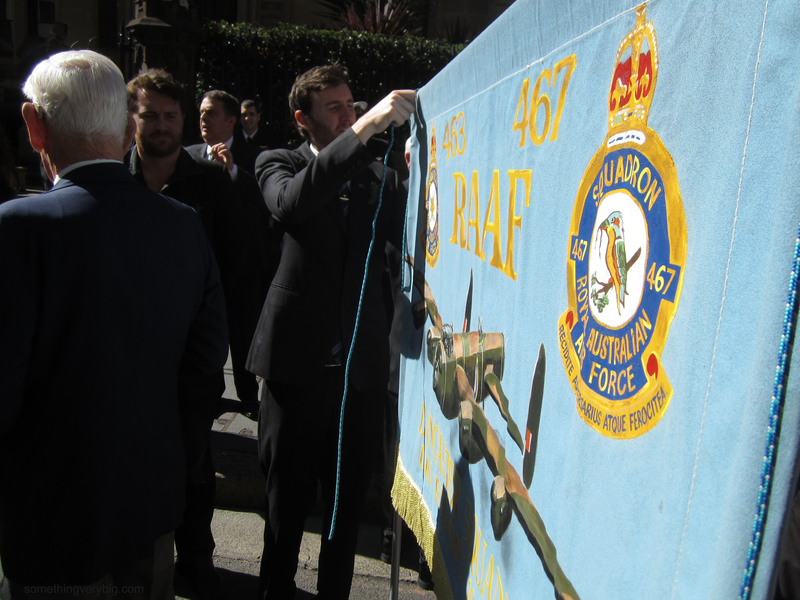 A rare photo of the four Bomber Command banners together in Sydney: Left to right, they represent 460 Squadron, the Bomber Command Association, 463/467 Squadrons and 462/466 Squadrons. 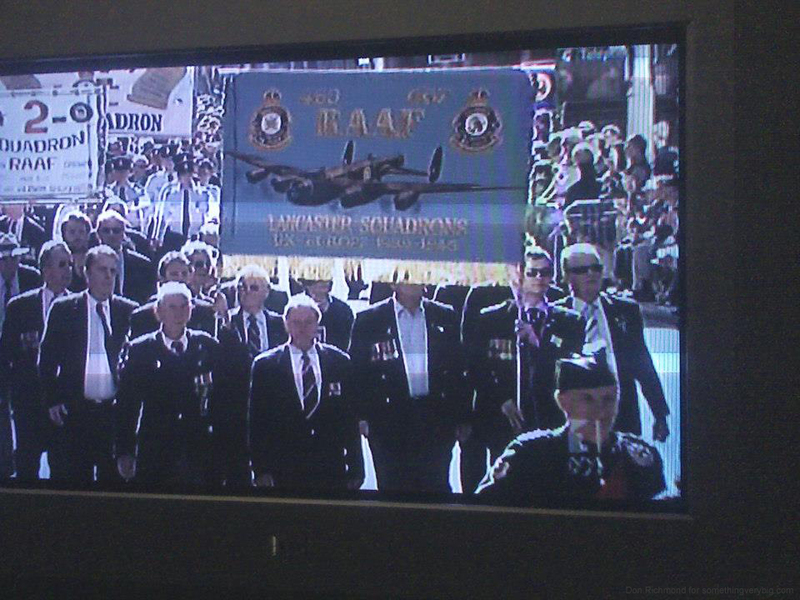 Images passed on to me via Richard Munro, Honourary Historian, 460 Squadron Veterans and Friends Group. Sydney turned on an absolute sparkler for ANZAC Day yesterday. The sky was clear, blue and brilliant, it was warm in the sun (but with that delicious autumn chill to the air in the shade) and the air was almost perfectly still. 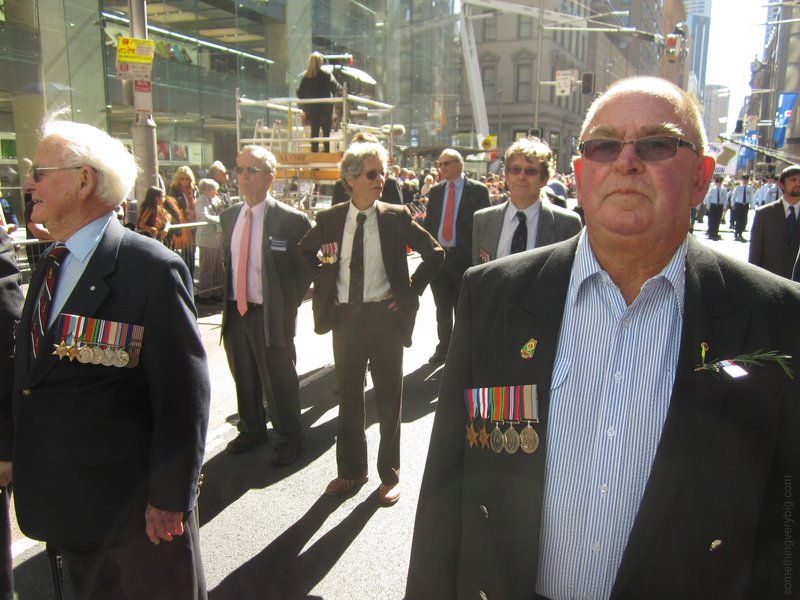 Perfect conditions, then, for an ANZAC Day march. I flew up from Melbourne early, catching the fast, clean and efficient (but horribly expensive) airport train into the city centre and arriving with enough time to spare to walk around and enjoy the atmosphere for a little while. The contingents from some current naval ships in particular, stepping off as I crossed Castlereagh Street, displayed some very impressive marching. 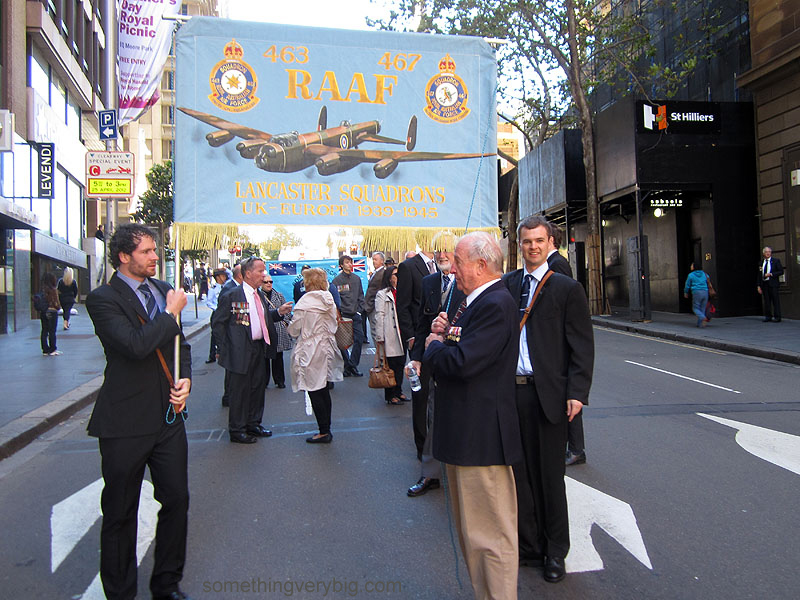 I headed for Elizabeth Street and the usual starting point for the Air Force veterans. In all, a really good day. There were lots of familiar faces to catch up with, and a few new people to talk to as well. I even met Col Edwards, whose uncle was Bob Coward, a 463 Squadron mid-upper gunner who was killed over Holland in 1944. Col first got in touch with me through the Lancaster Archive Forum and again through a comment on this blog. Bob Coward’s crew took a second dickie pilot along with them on one of their operations. The pilot? 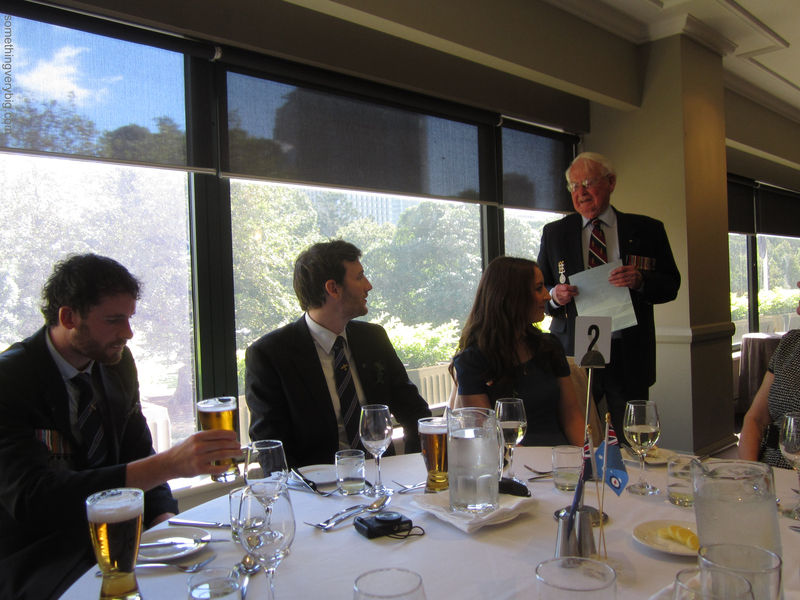 One Don Huxtable, who at yesterday’s lunch was sitting at the same table as Col, three seats along. A few further photos from the day follow. Click on the image for full-size. A top day, and well worth the flying visit to Sydney. I’ll be back next year. Four posts in a week! There will consequently be a short delay before I publish the next update on SomethingVeryBig. Next post is due on May 10. 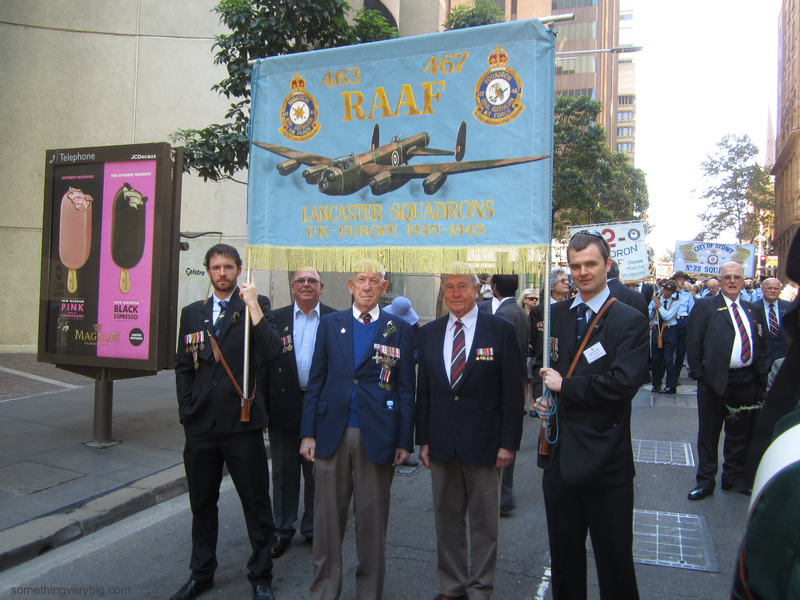 Despite age taking its toll, and in defiance of the rather wet weather, eight 463-467 Sqn veterans took part in the Sydney march on Monday with a group of ten or fifteen descendents and family members following behind. The rain, threatening all morning, held off for the most part while we were marching. While the rain did fall at times, it failed to keep the crowds away. 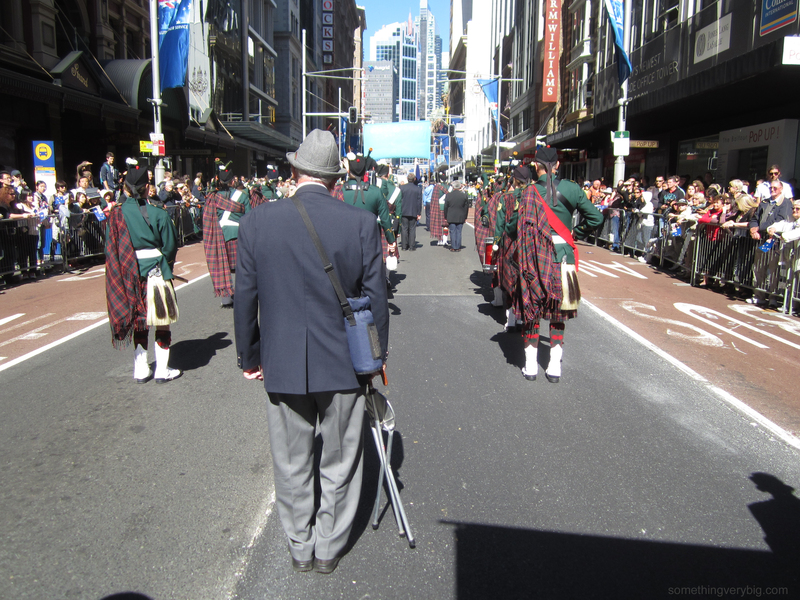 George St was lined four or five people deep for most of its length as we marched past. I think this fact alone is proof that ANZAC Day remains relevant and keeps its place in the hearts of many Australians. 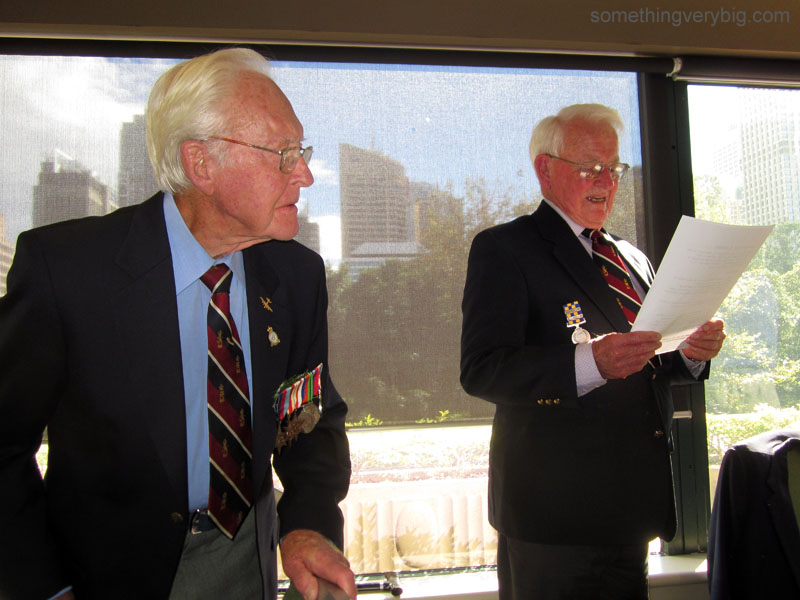 Ten veterans were at the lunch that followed the march. 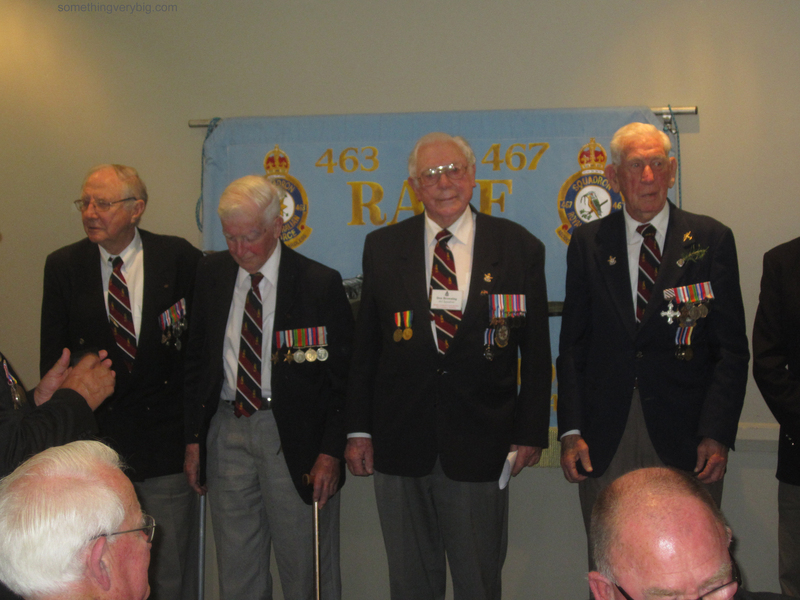 Left to right, they were: David Skinner, Alan Buxton, Hugh McLeod, Don Southwell, Bill Purdy, Albert Wallace, Harry Brown, Don Browning, George Douglass, Don Huxtable. 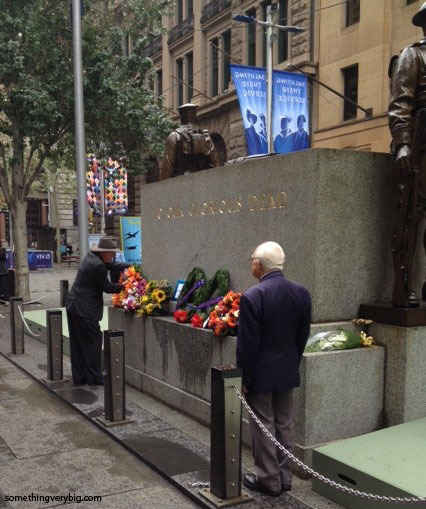 But the nature of the commemoration of ANZAC Day will and must change. 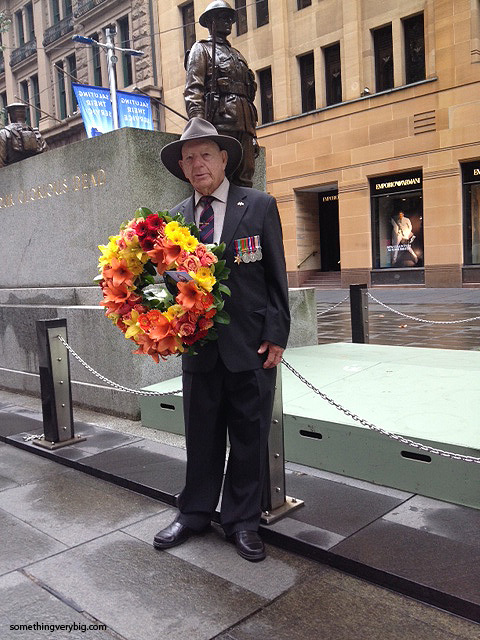 The men who fought in WWI are no more. 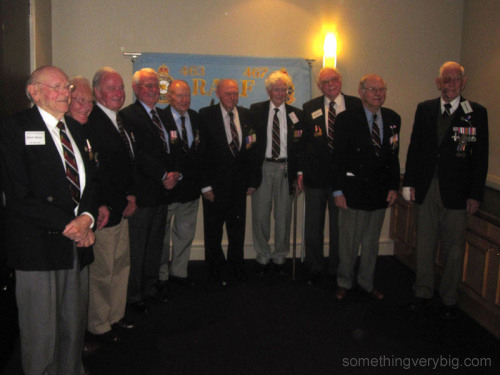 And the men who fought WWII are getting on a bit. Before too many more years have gone by, there will be noone left who ‘was there’. 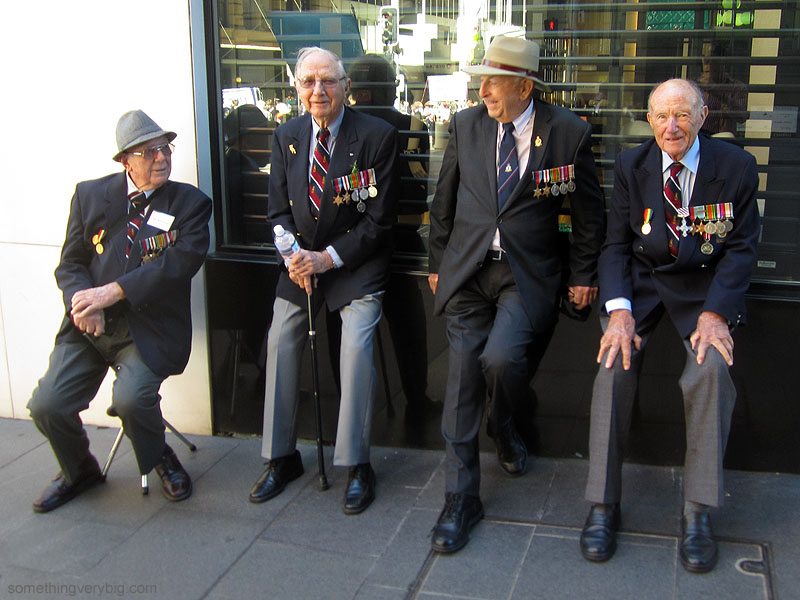 So it will fall to the younger generation to ensure that these men – in the main, ordinary lads living in extraordinary times – and what they did is not forgotten. 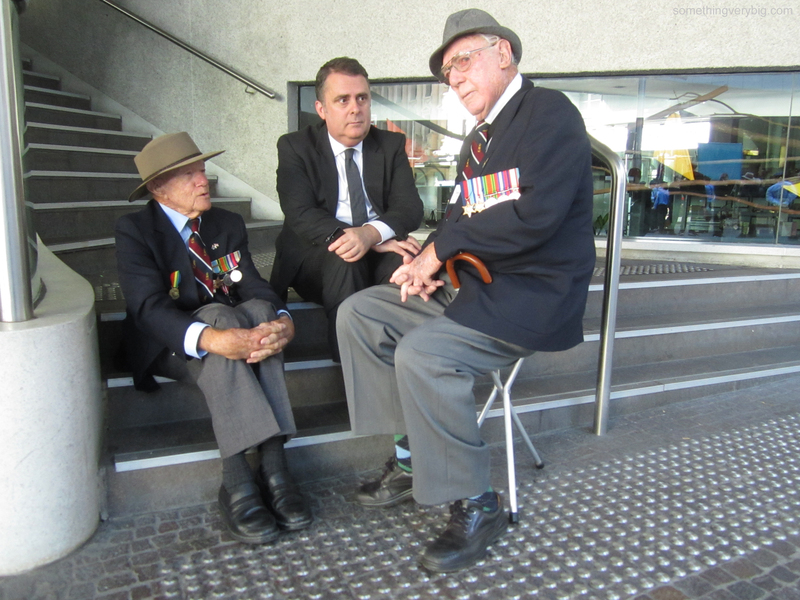 I’m always touched by the sentiments of the veterans I speak with on ANZAC Day. They are pleased as punch that there are younger people present, at both the march and the lunch. I think they are happy to know that someone will carry the banner down George St, long after they have gone. For me, as one of those younger people, hearing this is rather humbling. Want further proof that there is a new generation of people remembering? 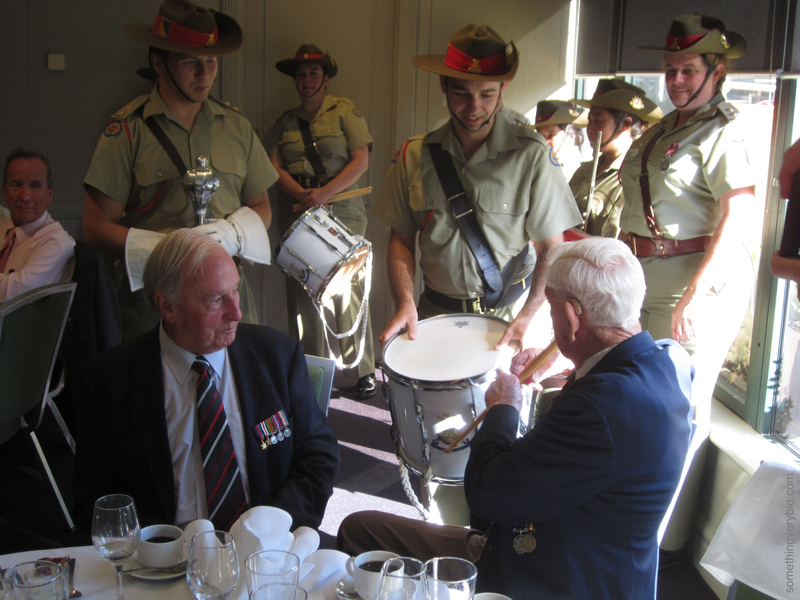 Half way through lunch on ANZAC Day, a group of 20 young musicians entered. 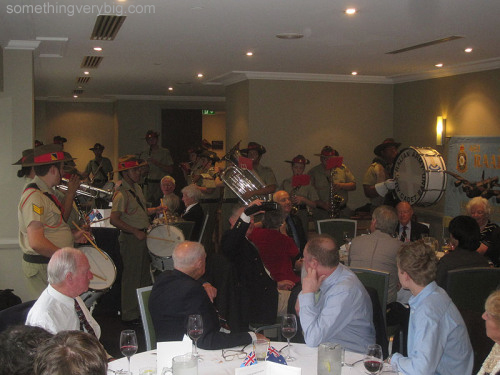 They were the Australian Army Cadets Band and had been playing a few numbers at some of the other ANZAC Day lunches that were taking place around the city. They had a mighty sound and were a wonderful surprise for all present. Lest we forget, indeed!